The assembly performs extremely well even under severe vibrations, pressure bursts, and lhermal shocks. On tightening, the sleeve ensures tube alignment with fitting axis, reduces mechanical strain on tube and decreases vibrations. 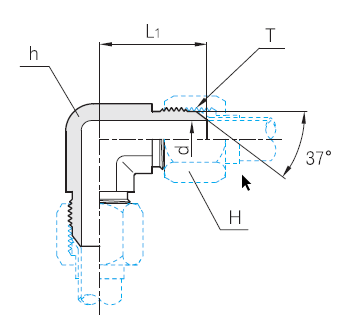 Fitting can be equally coupled to metric or inch-tubes. The tube doesn't undergo distortion, remains constant and fluid pressure losses are negligible. The system efficiency remains equally guaranteed after several disassemblies and assembly operations and individual replacement of any component.